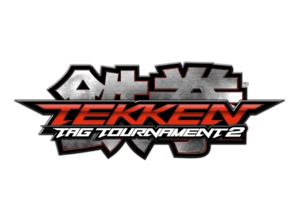 Tekken Tag Tournament 2 is a tag-team fighting arcade game that was released by Bandai Namco Games on September 14, 2011; it runs upon the company's System 369 hardware, and as the name suggests, it is the second title for the Tekken series to focus on tag-team battles (as opposed to one-on-one battles). Six months later, on March 27, 2012, this game received an update entitled Tekken Tag Tournament 2 Unlimited - and this version added new "customization" options, rebalanced the gameplay, allowed the characters to fight either solo or in tag teams (either one-on-one, two-on-two, or even one-on-two) and went on to serve as the basis for the console ports (the Sony PlayStation 3 version was released for the US on September 11, 2012, in both Japan and Australia on September 13 and in the EU on September 14). Two months later, the Wii U version was released in the US on November 18, for both the EU and Australia on November 30, and in Japan on December 8); this is also the second time that a PlayStation port of a Tekken title was first released in the United States, and this Tekken title was the first to feature Unsho Ishizuka (Professor Oak in the original Japanese dub of the Pokémon anime) as Heihachi Mishima (as his original actor, Daisuke Gōri, died in 2010). 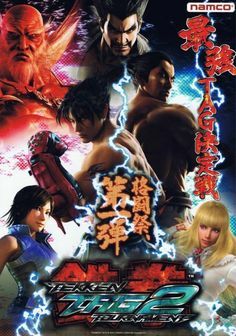 Originally intended to feature characters from Tekken 6 (2007), Jun Kazama (who had not appeared since Tekken 2 in 1995) was later added after many fan requests to series creator Katsuhiro Harada; after this, several more characters who had not appeared for over a decade were also added, and by the time this game was released, it featured sixty characters, which is the largest character roster for the Tekken series' history. However, the console ports only feature fifty-nine characters (ten of them got added in free updates after the initial release, and four members of this specific character group were available on the release day to people who had preordered the game) - and the Wii U version, entitled Tekken Tag Tournament 2: Wii U Edition, sees the return of "Tekken Ball Mode" from the PlayStation version of Tekken 3 (and it introduces two new modes: "Mushroom Battle Mode", which features mushrooms from Nintendo's Mario series that can change the sizes of the characters when collected, and "Tekken Supporters Mode", which allows its player to donate "fight money" earned in gameplay to specific characters in order to unlock their customization equipment). This version also has additional costumes, based on characters from Nintendo franchises (like The Legend of Zelda). In 2013, the World Tekken Federation (the site in charge of the console versions' accounts, rankings, and bans) closed down due to the insufficient amount of accounts to maintain it, and on February 17, 2015, all cabinets in Japan were closed down to make way for those of the then-upcoming Tekken 7.